Learning can be more fun in a group, and you can learn a lot more by watching other’s mistakes, too! Here at the Academy you can give golf a try with a beginner session with friends, or receive professional consultancy on your swing at a more experienced level. Equipment is provided free of charge if required. Learn the fundamentals of hitting the golf ball with strength and precision. 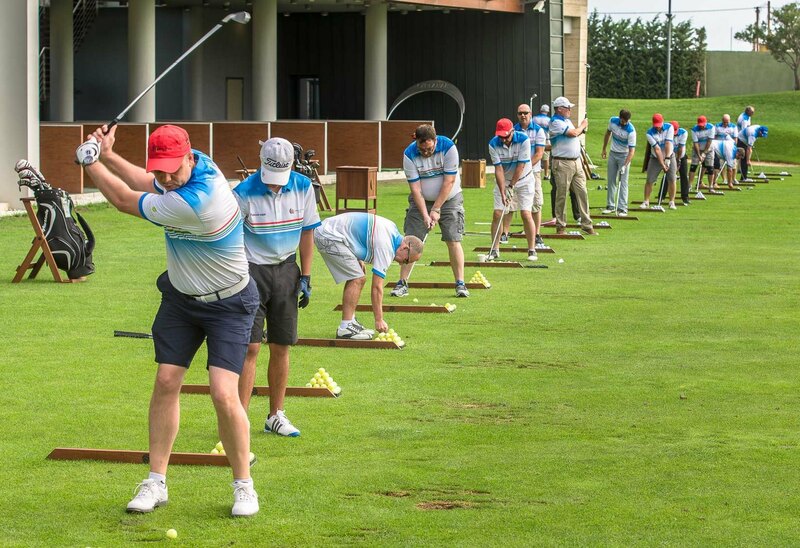 Our professional will take you through grip, aim, stance, posture, swing shape, ball position, and more – all you need to give golf a proper first-time try. Discover Golf programme consists of a series of 10 x 1 hour group lessons designed to introduce beginner golfers to the fundamentals of the game. Instructional information and practical advice shall be taught to develop the various skills and techniques within the game. Step by step our PGA Professionals will take you from how to set up correctly through to playing the course at Dreamland Academy. Groups are based on a minimum of 4 and maximum of 10 persons.